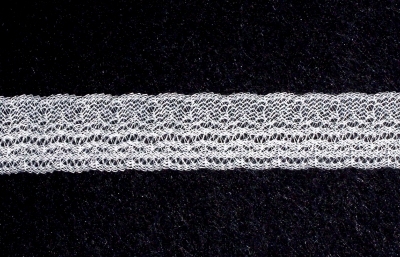 The lace is pre- cut in 2 mtr lengths – comes in either, Black, Ecru, White. Sometimes in Red, Beige, Brown in the cheaper laces. All laces are 90% cotton 10% polyester. A couple of old stock laces in Nylon. 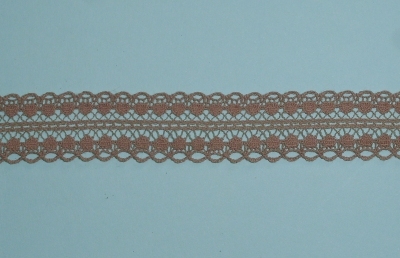 Polycotton Lace. Peach shade – pre-cut into 2 mtr lengths. 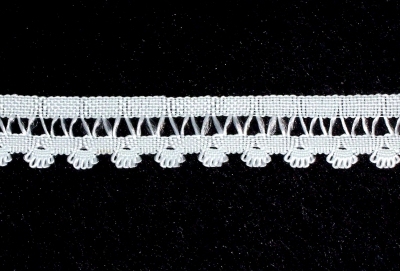 Polycotton Lace.Pale Green shade – pre-cut into 2 mtr lengths. 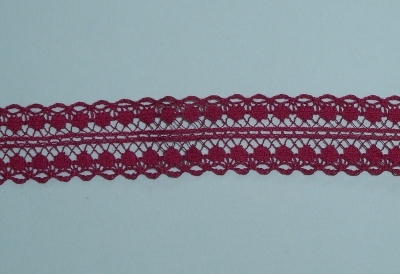 Wine Lace. pre-cut into 2 mtr lengths, can be cut in half so you have 4 mtrs which makes it a good buy. Off white nylon lace. Useful to have in your trims basket. Pre cut into 2 mtr length. 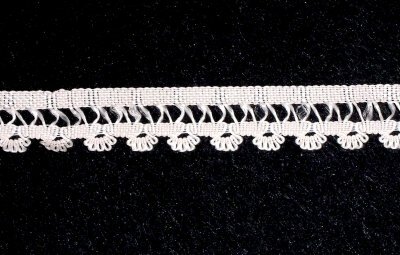 Ivory Nylon lace, useful to have in your trims basket. Pre cut in 2 mtr length. Beige Lace. pre-cut into 2 mtr lengths, can be cut in half so you have 4 mtrs which makes it a good buy. Brown Lace. pre-cut into 2 mtr lengths, can be cut in half so you have 4 mtrs which makes it a good buy. 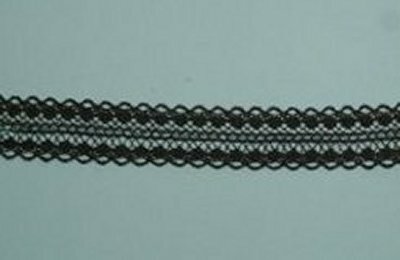 This lace can be cut down the centre giving you 4 mtrs… for the same cost. Very Useful to have. Not much left in stock. When its gone…its gone.